October is going to be a fun and busy month for the Boosters! Join us as we raise funds to celebrate and support educational, social, athletic and performing arts activities at LTHS. 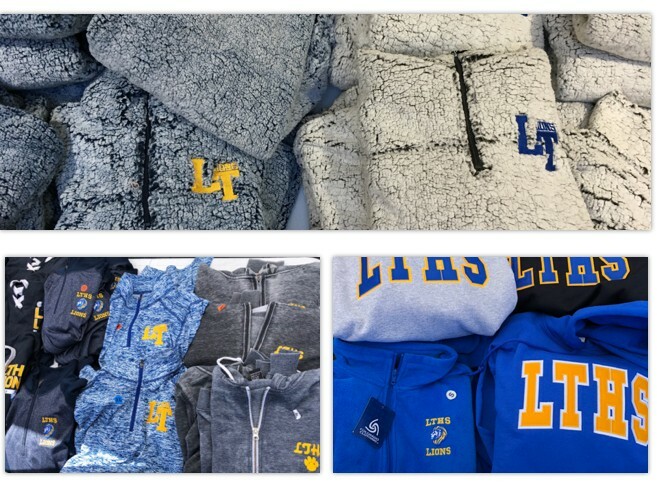 Join us by selling Booster Wear at the the next two home football games – click below to volunteer! Take in the football action while getting to know other LTHS parents and supporting the students and staff! Later in the month, we’ll also be selling Booster Wear at Parent Teacher Conferences and will need lots of help! Click below to volunteer! On Monday, October 22nd, enjoy a night off from cooking while supporting the LT Boosters! 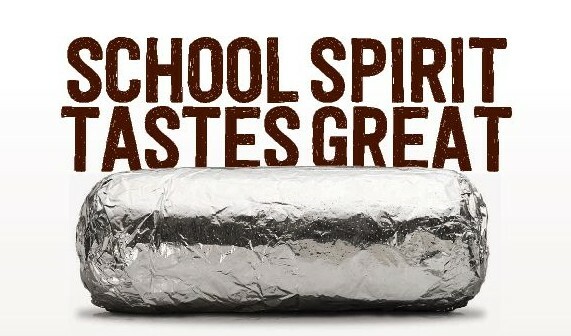 From 4pm – 8pm Chipotle at 40 N. LaGrange Road will donate 33% of proceeds to LT Boosters! Bring in this flyer! Thank you to all our volunteers that helped to make Boosters Lion Fest at homecoming such a success! Thank you for your time and energy! Thank you to the local businesses who support our students by participating in our Gold Card program! And, thanks for your support through purchasing a Gold Card. 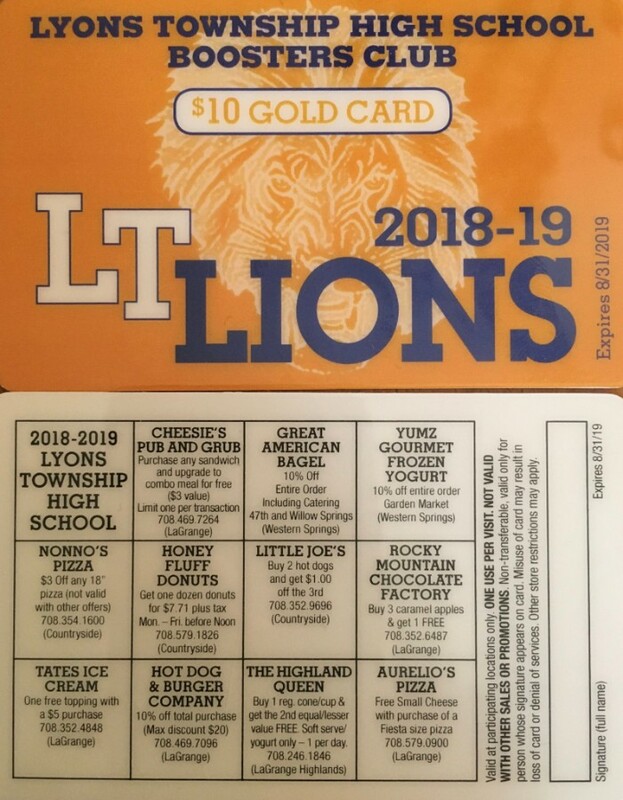 It’s not to late to buy a Gold Card and take advantage of great savings while supporting LT Boosters! Click to buy! Upcoming Events – Click on Links to Volunteer/Support!